Tim has declared that this Friday (today) be Bookshop Marathon day. Bookshop Marathon Day? What's that? 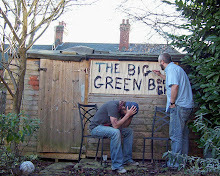 Tim will not close the shop today until we take £1000. 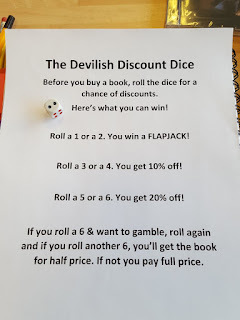 This can be over the counter, on the phone (020 8881 6767),or online/email sales (enquiries@biggreenbookshop.com) and he will be taking his sleeping bag in on Friday morning. The last time we took £1000 on a Friday was December last year, so it's ambitious, to say the least. 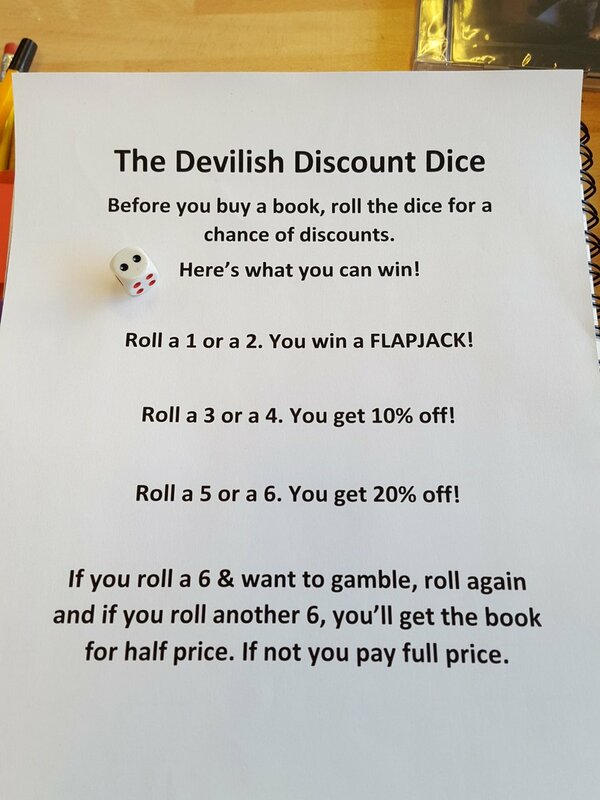 If you come in to buy some books, you can roll the Devilish Discount Dice and maybe WIN BIG. A reminder of the many faces of Tim West, who will be taking on this extraordinary challenge. One of these may not be the right Tim West. I guess we're gonna have to have some kind of Twitter hashag for this, aren't we? How about #BGBMarathon. I'm (Simon) typing this at 6.30am, as i'm just off to work now. Thought i'd give Timmy a hand and open up early to maybe catch some early punters. I'm nice like that.